We share the planet with many different species, and some of them bite or sting us on occasion. Mosquitoes, horse flies, fire ants, bedbugs, spiders, fleas, bees, and wasps can cause nasty reactions with their saliva or venom, but we don’t need to run to the drugstore to alleviate any potential reactions. Instead, we can enlist our plant allies and a few household ingredients to relieve the torment. Read on for a few DIY recipes that soothe insect bites without the nasty chemicals. When gathering wild plants for your herbal remedies, be sure to collect them from areas that haven’t been sprayed with pesticides and aren’t too close to active roadways. If you grow these plants yourself, try to avoid chemical fertilizers and just use compost to nourish them as they grow. Step 1: Chop the plantain leaves very finely. I mash mine in a mortar and pestle as well, but you can also put them through a food processor. Here’s a tip: if you have one of those Magic Bullet-style mini smoothie makers, they’re pretty much ideal for chopping up fresh herbs. Step 2: Cut a 3-inch piece off your handy aloe vera plant, and squish the gel out of it. Mix that, the bentonite powder, and the activated charcoal powder with the chopped plantain to create a thick paste. Step 3: Slather this paste on bite and surrounding area. It should alleviate the pain, as well as overall irritation, and both the bentonite and charcoal will draw the insect venom out of the bite. Which types of insect bites and stings will this help? Pretty much all of them. For spider bites specifically, add some crushed fresh yarrow leaves to the poultice, as this will help to draw out the venom. Leaves from the creosote bush (Larrea tridentata), also known as chaparral, can be used to create an infused oil for all kinds of insect bites, though it’s particularly well suited to fire ant bites and scorpion stings. I generally use the folk method for creating infused oil, so that’s what I’ll be describing below. If you’d be more comfortable using official ratios, then it’s 1 oz of dried leaves to 10 oz oil. Step 1: Fill your jar 1/2 full of dried leaves, then pour in olive oil to fill the jar almost to the top. Step 2: Use a chopstick to stir it well, then cap it with the lid. Place in a sunny spot and shake daily for 2-3 weeks. Step 3: Strain well through cheesecloth and a sieve into another clean jar. Decant into colored glass dropper bottles, and label with the name and date. Store these in a cool, dark place. When and if you get stung or bitten, apply a drop or two to the area. Which types of insect bites and stings will this help? Spider, kissing beetle, and mosquito bites, bee and scorpion stings, and those weird caterpillars that have hairs that’ll lodge in your skin and make you scream in pain. *Note: It’s best to avoid creosote if you’re pregnant or nursing. When you combine plantain with apple cider vinegar, you end up with an acidic tincture that neutralizes wasp sting venom surprisingly well. Note that this works for wasp stings, not bees: wasp venom is alkaline, which is why the acid in vinegar neutralizes it. Step 1: Gather some plantain leaves and rinse them well under running water. Step 2: Pat them dry, then chop them up and loosely fill a small, clean jelly jar 2/3 full of the chopped leaves. Step 3: Fill the jar all the way to the top with apple cider vinegar, and stir the contents gently with a chopstick or spoon handle to release any air bubbles. Close it up with a clean lid and store in a cool, dark place for 3-4 weeks, agitating the jar gently every day to draw out the plantain’s medicinal properties. Step 4: Once that time has passed, strain the liquid through a few layers of cheesecloth into a clean jar, or into amber dropper bottles. If you get stung by a wasp, use a cotton ball to apply this tincture to the affected area immediately, followed by ice to reduce any swelling. Alternate with the ice and vinegar for about 15 minutes, and keep applying the vinegar as needed to relieve pain and itchiness as it heals. 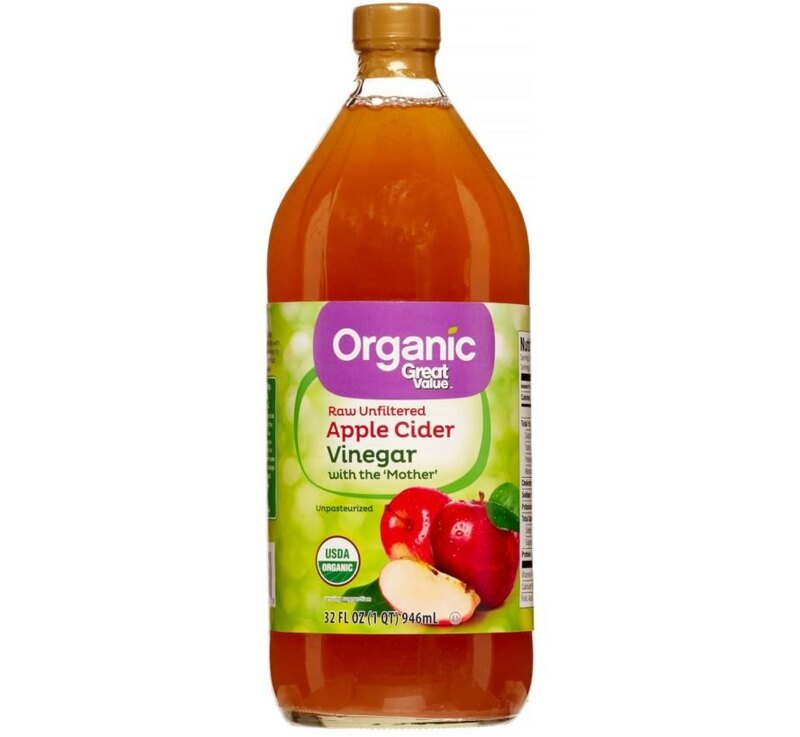 If you get stung before this has a chance to cure, just apply plain apple cider vinegar. It won’t do as much for alleviating the pain and inflammation, but it’ll counteract the venom so you can heal more quickly. Which types of insect bites and stings will this help? Fire ant bites and wasp stings, as well as flea and bed bug bites. 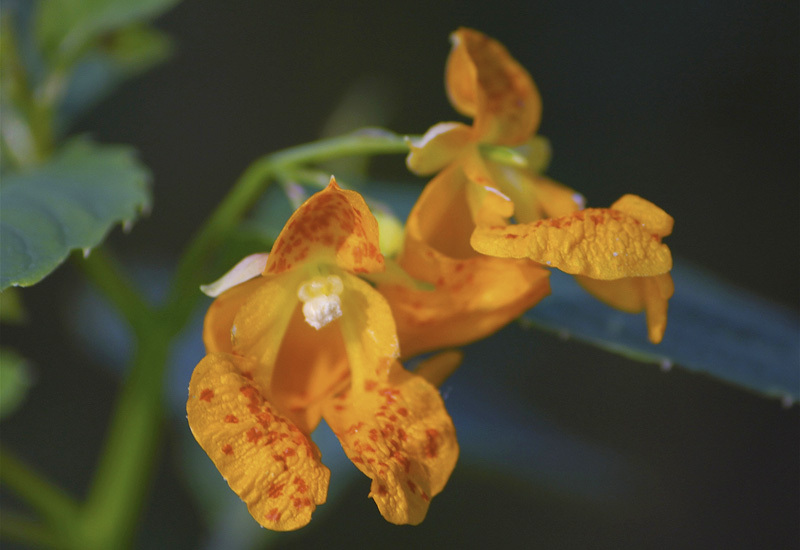 Now, if you happen to have jewelweed growing in your area, you’re in luck. Also known as Touch-Me-Not, because if so so much as touch its seeds, they’ll go squirting off several feet away, Impatiens capensis is incredible for alleviating all kinds of skin irritations. In addition to neutralizing poison ivy reactions, the gel inside its stem will also soothe insect bites instantly. 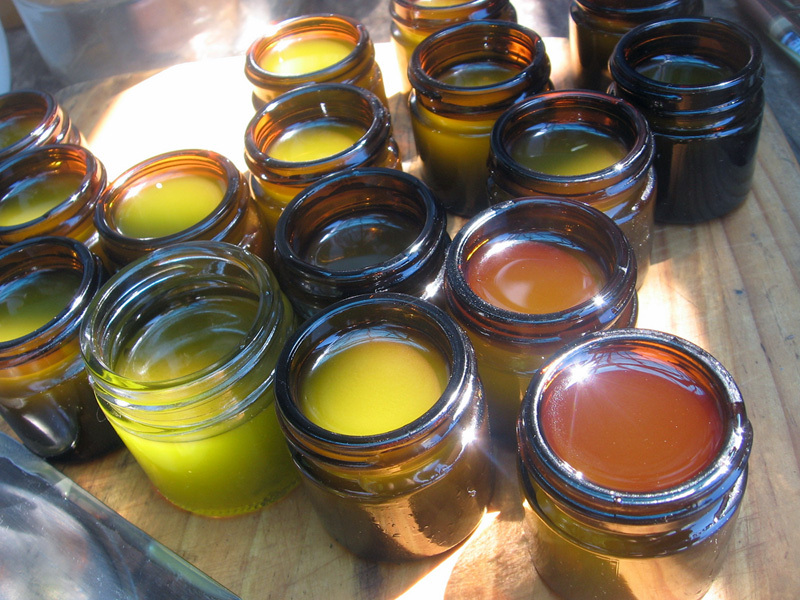 You can’t tincture this plant because it reacts badly with alcohol, but you can make a salve with a few simple ingredients. *Note: If you can’t get hold of jewelweed in your area, you can use calendula flowers instead. Step 1: Chop the jewelweed coarsely and place in a small saucepot. Step 2: Cover it completely with your olive oil, and bring to a simmer. Keep simmering for about an hour, until the plant has softened and the oil has changed color. Remove from the heat and let it sit overnight. Step 3: Strain the oil into another, clean saucepot through several layers of cheesecloth or muslin lain inside a strainer. Use a metal spoon to squish all the oil out of it. Step 4: Warm this oil on low heat, add the wax pastilles, and stir gently. I use a small baking whisk for this, but you can also use a metal spoon. Step 5: Remove from the heat, then add 8 drops each of tea tree, peppermint, and lavender essential oils. Step 6: Pour the mixture into a small jar or tin, let set for 20-30 minutes, then refrigerate. This salve will stay good for up to a year if kept in the fridge. While calendula doesn’t have jewelweed’s itch-neutralizing properties, it’s a good all-purpose herb for alleviating skin irritation and inflammation. Which types of insect bites and stings will this help? All of them. Remember that prevention really is the best medicine, and it’s good to take steps to avoid being bitten or stung. Spraying exposed skin with a diluted yarrow tincture is just as effective as DEET. (Follow the link above for a DIY tincture tutorial), and wearing long-sleeved shirts and long pants when you’re gardening or hiking in the woods can help to keep all kinds of bugs from biting you. It’s important to educate yourself about these plants before using any herbal remedies to make sure they don’t contraindicate with any medications you may be on, or trigger any allergies you may have. For example, people who are allergic to chamomile may also be allergic to other flowers in the Asteraceae family, such as the calendula listed above, or arnica. If you have any nervousness about using these remedies, talk to your healthcare provider or a local herbalist for advice, and then try a small test on your skin to see if you’ll react badly to the salve or poultice. 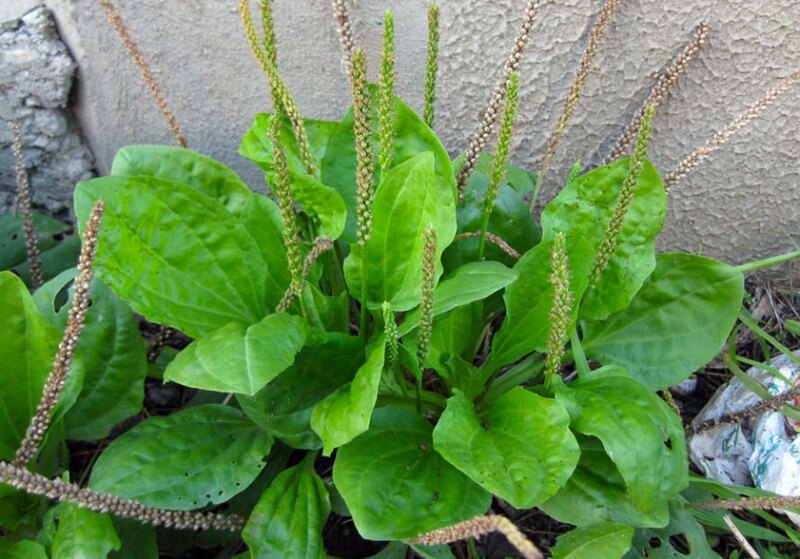 Plantain (Plantago major) is an invaluable plant for just about every type of insect bite or sting, and it grows so prolifically that you can undoubtedly find it somewhere near you. If you're walking outside and you get bitten, look around to see if there's some plantain growing nearby: just crush up or chew one of its leaves, and rub it all over the affected area for relief of both pain and itchiness. Mosquitoes, horse flies, fire ants, bedbugs, spiders, fleas, bees, and wasps can cause nasty reactions with their saliva or venom, but we don't need to run to the drugstore to alleviate any potential reactions. Now, if you happen to have jewelweed growing in your area, you're in luck. Also known as Touch-Me-Not, because if so so much as touch its seeds, they'll go squirting off several feet away, Impatiens capensis is incredible for alleviating all kinds of skin irritations. In addition to neutralizing poison ivy reactions, the gel inside its stem will also soothe insect bites instantly. 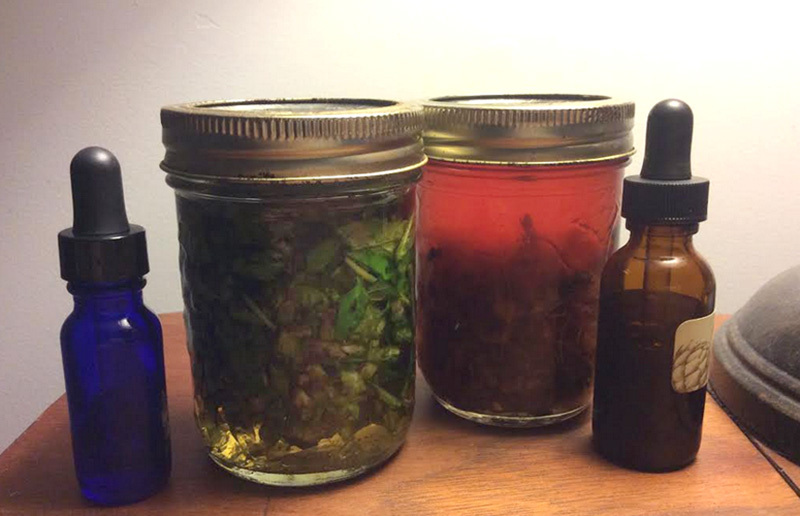 You can't tincture this plant because it reacts badly with alcohol, but you can make a salve with a few simple ingredients. We share the planet with many different species, and some of them bite or sting us on occasion. Mosquitoes, horse flies, fire ants, bedbugs, spiders, fleas, bees, and wasps can cause nasty reactions with their saliva or venom, but we don't need to run to the drugstore to alleviate any potential reactions. Instead, we can enlist our plant allies and a few household ingredients to relieve the torment. Read on for a few DIY recipes that soothe insect bites without the nasty chemicals.